Forerunners: India Medical Tourism Forerunners- Medical Tourism, Medical Tours India, Medical Tourism in India, Medical Tour Packages, Health Care Guide, Health Care from India, Health Care Package Tours, Orthopaedic Surgery Packages, medical india hospitals,medical and health care services. India offers World Class Medical Facilities, comparable with any of the western countries. India has state of the art Hospitals and the best qualified doctors. With the best infrastructure, the best possible Medical facilities, accompanied with the most competitive prices, you can get the treatment done in India at the lowest charges. A patient will come to India where he will undergo medical treatment and along with that he can visit any Indian tourist destinations, as and when advised by the Doctors. The whole thing would save him a lot of money and he will get to discover India at the same time. We assure that FORERUNNERS will provide the best medical and travel facilities for you in India. What makes India all the more tempting is the availability of Ayurveda, Naturopathy in its most authentic form which are an excellent choice for chronic illnesses and rejuvenation. Why should I choose Health Tour India over other destination? The core idea behind the progeny of medical tourism was to enable people get good quality treatment at affordable rates in another country, as the facilities were either too expensive or absent in their homeland. Health Tour in India is a blend of both these missing qualities and serves the purpose. Why is the Forerunners Healthcare Consultants Class Health Tour in India? 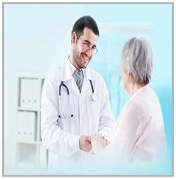 Forerunners Healthcare provides best possible medical care for almost all kinds of health conditions at affordable rates, in India, and the executives are quick to extend help. Why has health tour in India grown so popular? India is rich in excellent medical treatments and low costs of living make them reachable. World-class facilities at affordable rates is what patients look for, and which is what we provide, making us popular. Is the Healthcare tourism company in India well equipped & of international standards? Yes. Forerunners healthcare ranks among the best ones across the world and our experts are extensively skilled. Our hospitals have all the latest medical infrastructure to meet patient's need. Does Forerunners Healthcare provide everything about Health tour India? Forerunners Healthcare is synonymous with health tour in India. We represent the best and most sought-after medical treatment facilities within the reach of common man. info on Indian Medical Tourism by Forerunners Healthcare-Medical Tourism, Medical Tours India, Medical Tourism in India, Medical Tour Packages, Health Care Guide, Health Care from India, Health Care Package Tours, Orthopaedic Surgery Packages, India hospitals, medical and health care services.